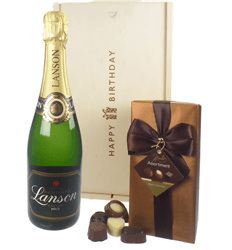 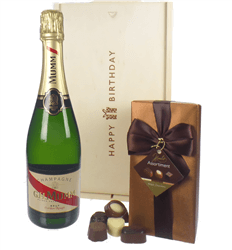 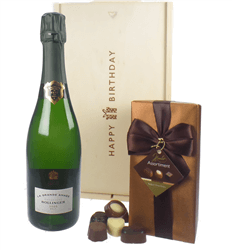 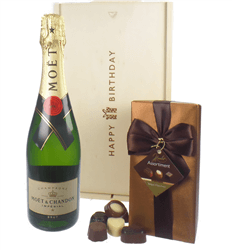 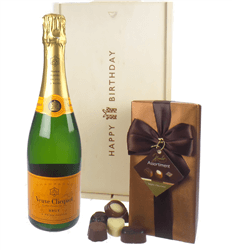 A beautiful birthday gift which consists of Perrier Jouet Champagne (75cl) together with a luxurious (250g approx 20 chocolates) ballotin of assorted Belgian chocolate truffles. This gift is presented in our 'Happy Birthday' branded wooden gift box and is lined with wood wool. 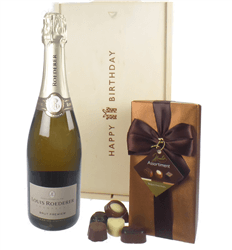 Personalise this gift by adding your own personal gift card message.